Picture of Redcar steel works. Looking along the coast from Redcar beach, towards the steelworks and South Gare at mouth of the River Tees. 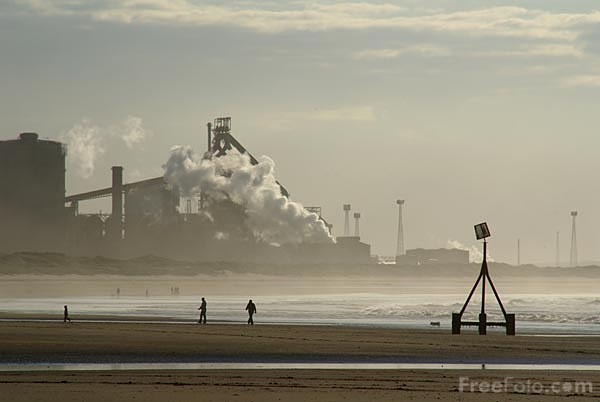 The steelworks at Redcar has the largest blast furnace in Europe and dominates this stretch of coastline.